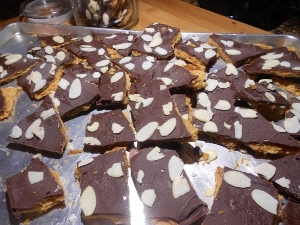 This is the quickest, simplest recipe for a gourmet tasting and funky candy I like to think of as toffee bars. 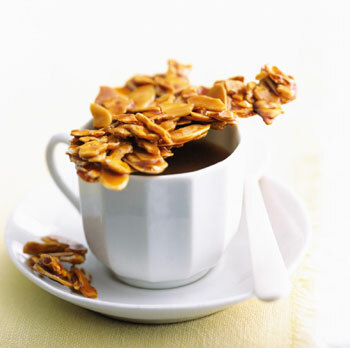 I got this from the Jan, 2003 issue of Gourmet Magazine and I love to have a batch of these on hand in the freezer for family snacking or to serve to guests I want to impress. It also makes a great hostess or kiddush gift. 1. Preheat oven to 375 degrees. 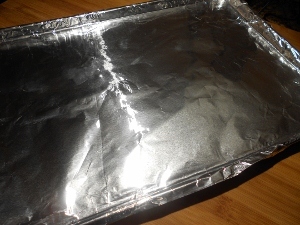 Line a 15 x 10 x 2-inch pan with silver foil, leaving a 2-inch overhang at each end. 2. 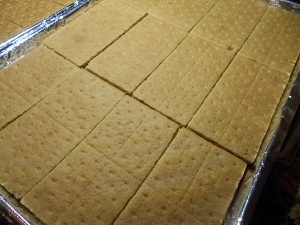 Line end to end with graham crackers. 3. 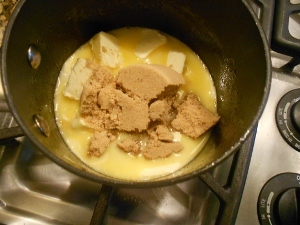 Melt butter (or margarine) on medium-low heat. Add brown sugar and salt and cook until smooth and combined will,about 1 minute. 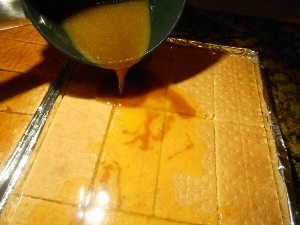 Pour over crackers, spreading evenly, and bake in the middle of the oven until golden brown and bubbling, about 10 minutes. 4. 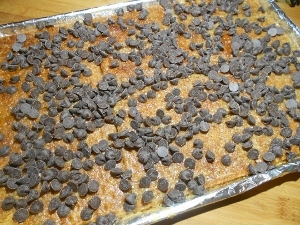 Scatter chocolate chips evenly over crackers. Return to oven for 1 minute. 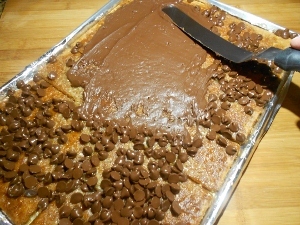 Remove and gently spread chocolate with offset spatula. 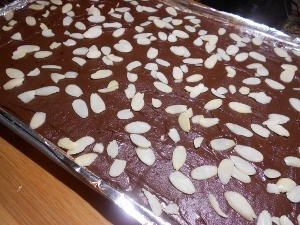 Sprinkle with nuts (I used sliced almonds). 5. Refrigerate or freeze. 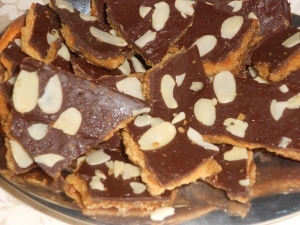 Break into squares or irregular shaped pieces.